Under the hood, the LG G8 ThinQ packs the latest Qualcomm Snapdragon 855 aided by 6GB of LPDDR4 RAM and 128GB of storage. In case you need more storage space, the LG G8 has a microSD card slot. One thing you can’t change is the 3,500mAh battery, but we can’t speak for the G8’s battery life without having reviewed the device. Fortunately, the device supports Qualcomm Quick Charge 3.0, which isn’t quite as fast as what Huawei or OnePlus offer but is faster than Samsung’s Adaptive Fast Charging. The LG G8 does support fast wireless charging like many of its contemporaries, but LG didn’t share exactly how fast the G8 can wirelessly charge. The LG G8 ThinQ has a 6.1-inch QHD+ OLED panel manufactured by LG Display. It supports HDR10 and is protected by a layer of Gorilla Glass 5 on front. The LG G8 ThinQ runs on LG UX based on Android 9 Pie. LG has included a new Night View in the camera app which captures 10 photos for better low-light recognition. A feature demoed in the Qualcomm Snapdragon 855 reference devices—real-time video bokeh—will be included on the LG G8 ThinQ. This feature lets you create bokeh in real-time with a slider to adjust the level. Unlike the LG V40 ThinQ, LG is sticking with dual rear cameras on the LG G8 ThinQ. You have a standard 12MP f/1.5 camera with OIS and LG’s signature wide-angle lens with the 16MP f/1.9 camera. The LG G8, like the LG G7, can record videos at 4K resolution at 60FPS, a feature which is actually pretty rare in smartphones. The LG G8 ThinQ will be available in Black Silver, Black, and Red. Verizon has announced that they will carry the smartphone in the U.S., but exact pricing and availability dates have yet to be announced. 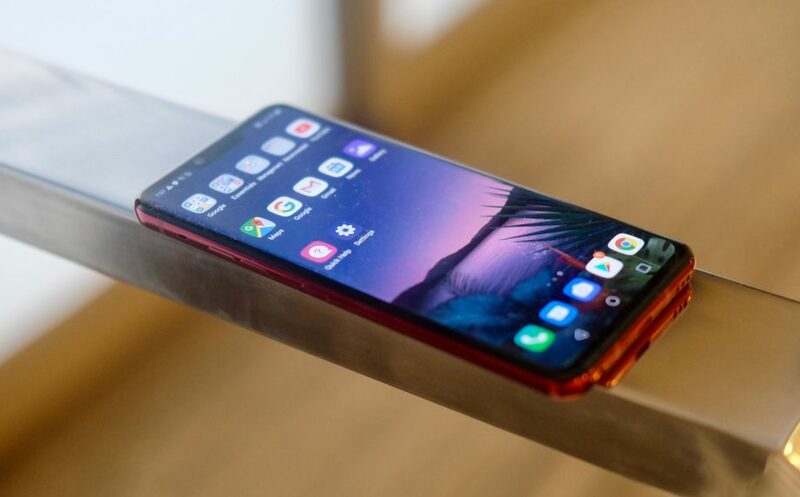 LG has launched the next phone of its G series flagship line up for the year 2019, the LG G8 Thin. 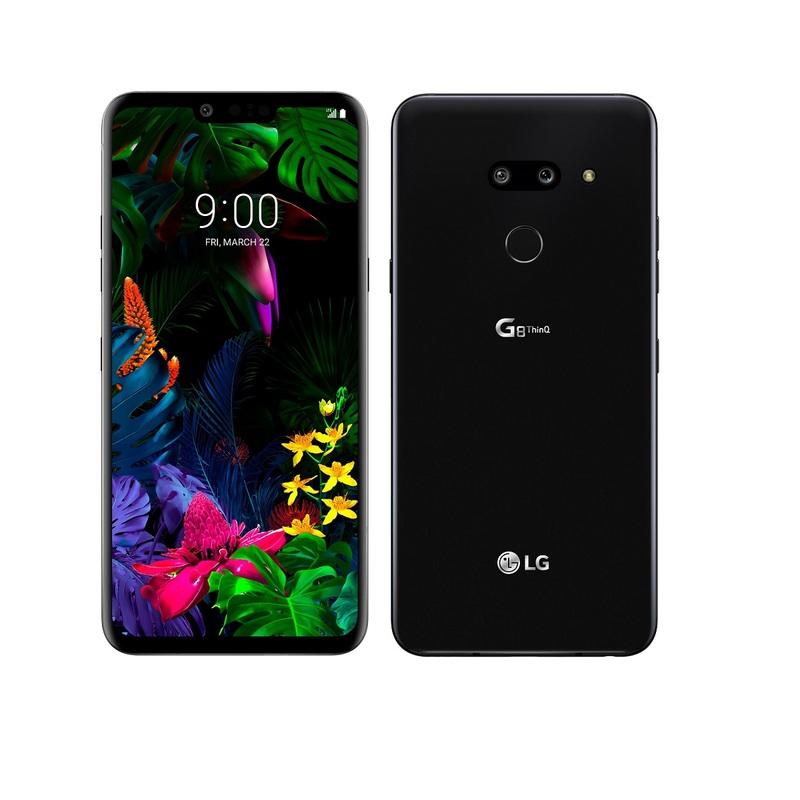 announced a new phone for 2019, pulling forward the G series with the LG G8 ThinQ. LG packed the phone with the old features we know and love like its boombox speakers and the Quad DAC for high-quality audio output and some new features we are going to take a look at in this review. Nitpickingly, the G8 ThinQ has done away with the camera bump in the back to make for a smooth and flat back finish, which looks great. It does at least feel nice to hold, thanks to a fairly narrow build and slightly rounded single sheet Gorilla Glass 6 on the back. Secondly, the rear camera lenses switch from a vertical positioning, as they were on the G7 ThinQ, to a horizontal arrangement. LG is launching two models of the G8 ThinQ, one of which has a dual camera, while the other has a triple rear camera. We were told carriers will be able to pick which model they choose to offer. The circular fingerprint sensor sits beneath the rear camera module, no in-display fingerprint sensor this time, though it does have a new unlocking method - Hand ID - which we will talk about in more detail a little further down. On the front of the G8 ThinQ, things remain as they were from a design perspective. There's a large display with a notch at the top - just like the G7 ThinQ and devices like the Google Pixel 3 XL. The LG G8 ThinQ has the same size display as the G7 ThinQ and it offers a similar notch too, as well as the same aspect ratio at 19.5:9, switching from a mLCD+ panel to an OLED panel. The FullVision OLED display on the G8 ThinQ is bright, punchy and it looks great. LG says its the "best OLED" smartphone screen out there but that remains to be seen. Resolution remains at Quad HD+, the same as the G7 ThinQ and the new LG G50 ThinQ, and the G8 ThinQ continues support for HDR 10 - there is no move to HDR 10+ as Samsung's Galaxy S10. Under its hood, the LG G8 packs the latest and greatest chips to make the G8 a choice contender for 2019 flagship. 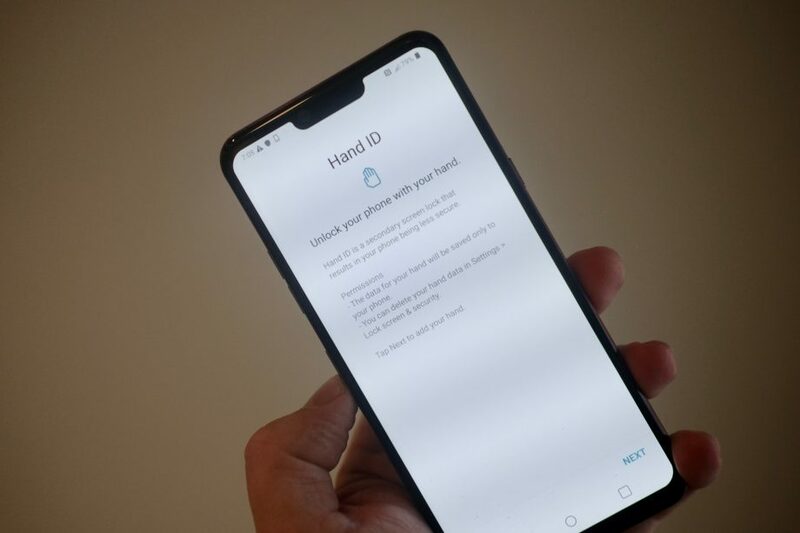 it hosts a Qualcomm's Snapdragon 855 aided by 6GB of RAM. In terms of battery capacity, the LG G8 ThinQ has a 3500mAh battery, which supports Qualcomm's Quick Charge 3.0. LG also introduced a speaker module to the G8 ThinQ's display called Crystal Sound OLED. The sound is produced from the entire screen, removing the need for the traditional call receiver. calls are clear with no distortion, great bass, and treble. It also gives a stereo effect when combined with the Boom Box. This sound technology does not take away from the sound we are used to in traditional call speaker pieces. 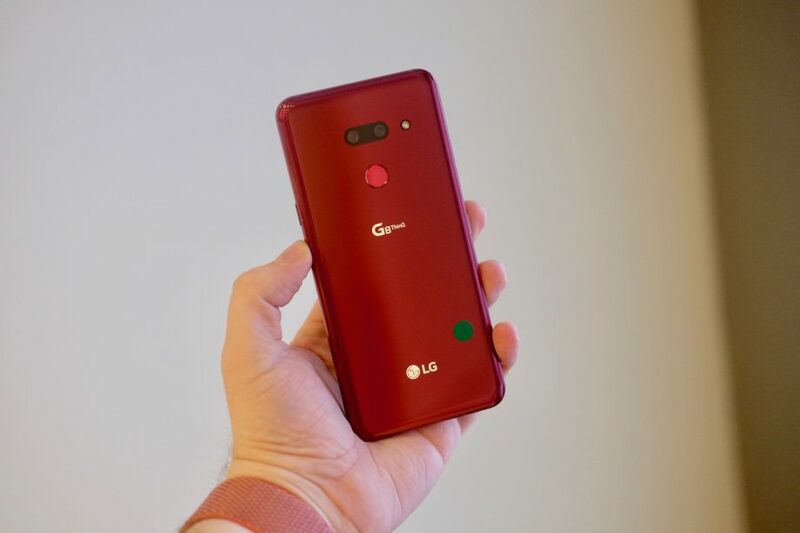 The LG G8 ThinQ offers a dual rear camera model and a triple rear camera model, depending on region and carrier. 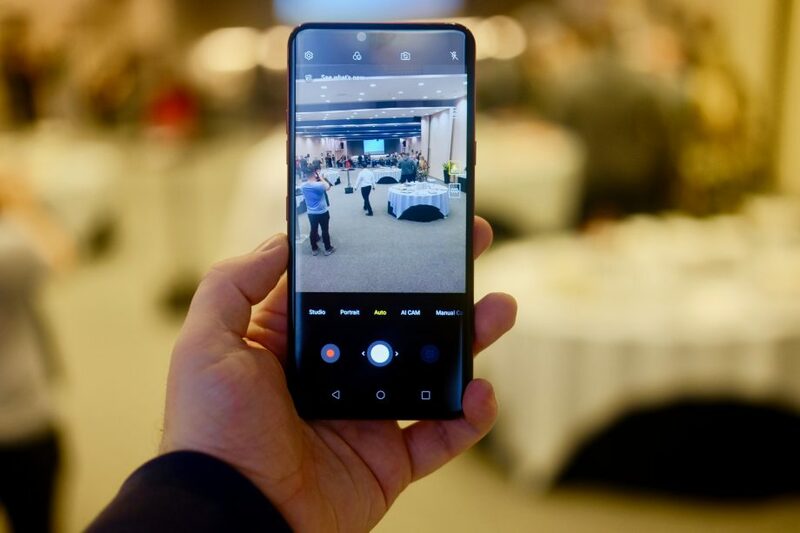 The dual rear camera variant of the G8 ThinQ is made up of a 16-megapixel super wide angle lens with a 107-degree field of view and an aperture of f/1.9, coupled with a 12-megapixel standard lens offering an aperture of f/1.5 and a 78-degree field of view. The triple camera model adds a 12-megapixel telephoto lens to that dual setup, offering a f/2.4 aperture and a 45-degree field of view. AI Cam is on board and there are several new features, including bokeh for video, all of which we will test out fully when we come to review the G8 ThinQ in full. LG has also introduced a new Spotlight mode that offers a range of lighting and shadow control, but it's the front camera where the real focus has been placed. Both models of the G8 ThinQ have an 8-megapixel wide angle sensor on the front, alongside a new Time of Flight sensor. LG is calling the ToF sensor the Z Camera - referring to the Z axis in geometry that relates to depth. The Z Camera measures distance and depth using a laser to and from the subject. There are also infrared sensors on board to isolate background and capture true 3D images. LG claims the new camera will offer "next level selfies" but it also allows for the Hand ID unlocking function we talk about in software and the portrait and Spotlight modes from the front camera. Typically it is the design of new devices that tend to be the more exciting aspect but in the LG G8 ThinQ's case, the company has placed a big focus on the software side of things. The G8 ThinQ runs on Android Pie and it features LG's skin over the top but it's the new gesture controls that are interesting. There are also new gesture controls on the LG G8 ThinQ, which LG calls Air Motion. Air Motion allows you to control media playback and volume, answer or dismiss incoming calls, turn off or snooze alarms, turn off timers and capture screenshots using your hand above the device. You don't have to touch the LG G8 ThinQ, you just have to make sure you mimic the right gesture. Imagine Harry Potter and the way he waves his wand - it's kind of like that but with your hand above a smartphone. The LG G8 ThinQ concentrates on software features and camera updates, rather than a total design overhaul, though that isn't to say it isn't still a luxurious looking device.